With the assistance of skilled and passionate professional, we are indulging in providing an assorted quality of Mirror Stand. This is manufactured with high precision under the stern guidance of our adroit team with the help of advance techniques. It is widely preferable due to its excellent height and seamless finish. Moreover, this can be availed in different sizes, shapes and other specifications to our precious clients at affordable price range. 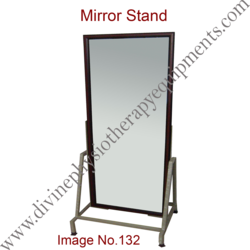 With more than 05 years of experience, we are providing an optimum quality range of Portable Mirror Stand. This is manufactured as per the set industry standards under the guidance of our seasoned professionals using excellent grade materials. Moreover, our precious clients can avail this in various sizes, shapes, designs and other specifications. This can also be customized as per client’s diverse needs at affordable prices. 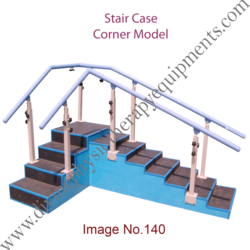 Stair case Straight Model is ideal for use in physical therapy and rehabilitation centers. Rigid engineering and construction provide a safe training apparatus as well as a weight capacity of 350 lbs. Staircase Straight Model features handrails and uprights made from satin-finished premium hardwood for lasting durability. The satin-finished premium hardwood is ergonomically designed for a safe, comfortable grip. 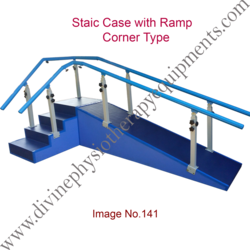 Staircase Staircase Straight Model uses four six inch high steps and a platform enclosed by handrails for user safety and accessibility. Each of the four stairs as well as the 24 inch high platform are finished in Natural Oak Laminate and covered with anti-slip treads for enhanced traction. Staircase Straight Model requires a minimum ceiling height of 4.5 feet. 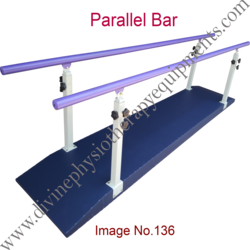 Staircase with Incline straight Model is ideal for use in physical therapy and rehabilitation centers. Rigid engineering and construction provide a safe training apparatus as well as a weight capacity of 350 lbs. Staircase with Incline straight Model features handrails and uprights made from satin-finished premium hardwood for lasting durability. The satin-finished premium hardwood is ergonomically designed for a safe, comfortable grip. Staircase with Incline straight Model uses four six inch high steps and a platform enclosed by handrails for user safety and accessibility. Each of the four stairs as well as the 24 inch high platform are finished in Natural Oak Laminate and covered with anti-slip treads for enhanced traction. Staircase with Incline straight Model requires a minimum ceiling height of 4.5 feet. 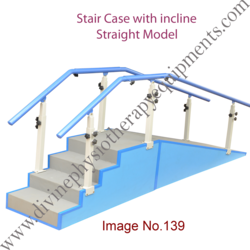 Staircase Corner Model is ideal for use in physical therapy and rehabilitation centers. Rigid engineering and construction provide a safe training apparatus as well as a weight capacity of 350 lbs. Staircase Corner Model features handrails and uprights made from satin-finished premium hardwood for lasting durability. The satin-finished premium hardwood is ergonomically designed for a safe, comfortable grip. 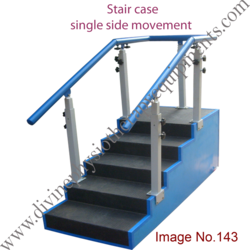 Staircase Corner Model uses four six inch high steps and a platform enclosed by handrails for user safety and accessibility. Each of the four stairs as well as the 24 inch high platform are finished in Natural Oak Laminate and covered with anti-slip treads for enhanced traction. Staircase Corner Model requires a minimum ceiling height of 4.5 feet. 3. Total Length one side 4.5 feet, another side 6 feet. With wide and rich industrial experience we are able to offer CP Standing Frame Height Adjustable, We manufacture these frames using highly sophisticated machinery and advanced technology. 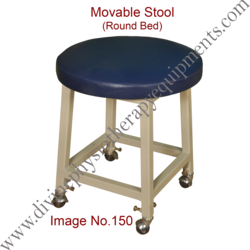 We have featured these with supportive stands, adjustable hip, easy removable belt, fine grip hanWith wide and rich industrial experience we are able to offer CP Standing Frame Height Adjustable OT15. We manufacture these frames using highly sophisticated machinery and advanced technology. We have featured these with supportive stands, adjustable hip, easy removable belt, fine grip handle etc. For providing support to children suffering from paralytic attacks these are greatly used. Our reliable walkers are sold at an economical rate in our firm. 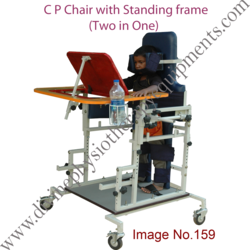 For providing support to children suffering from paralytic attacks these are greatly used. Our reliable walkers are sold at an economical rate in our firm. 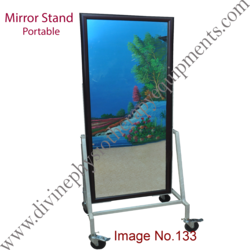 Our organization is counted among the recognized firms engaged in offering a superior quality range of Standing Frames for our clients. These frames comfortably help in supporting weight and bearings parts of the body. Additionally, these frames help in preventing atrophy of leg muscles, improving range of motion, circulation, lessens muscle spasms & contractions. For the convenience of our respected customers, we are engaged in manufacturing and exporting a wide range of Foot Steps. 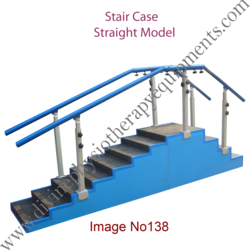 These steps are manufactured using high-grade steel and advanced machines to remain in tandem with international standards and norms. 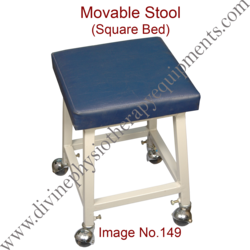 Clients can avail these steps in various sizes to meet their exact requirements. We also test these steps on various parameters so as to ensure their strong construction and durability. 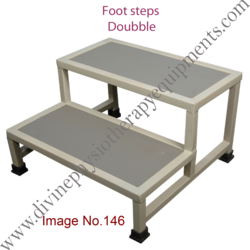 Our organization has gained expertise in manufacturing and exporting a wide range of 2Steps Trolleys. The trolleys offered by us are manufactured using high-grade CR steel with Powder coat , which is procured from the Electro Therrapy Machines Storage. 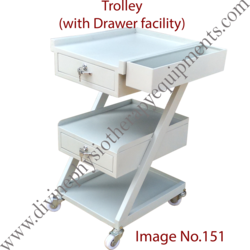 2 Steps Trolleys use for Physiotherapy Clinic. 4 inches dia Wheel with two Break. 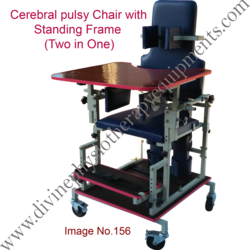 Our organization has gained expertise in manufacturing and exporting a wide range of 3 Steps Trolleys. The trolleys offered by us are manufactured using high-grade CR steel with Powder coat , which is procured from the Electro Therrapy Machines Storage. 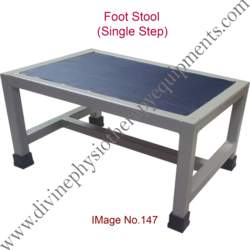 3 Steps Trolleys use for Physiotherapy Clinic. 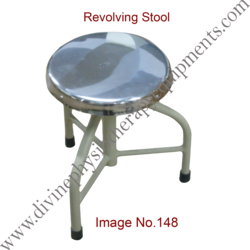 Looking for Exercise Therapy Equipment-4 ?